“Hi Joyce. I’m not sure what to say in a testimonial, other than what a great job you did on getting my first ebook edited, formatted, and published on Smashwords. And, I like the cover design too! What comes to me is something I remember from a Robert Anthony seminar many years ago (he was a precursor to the current “life coaches” I guess). His advice was to, if at all possible, not waste your precious energy on anything you don’t really like to do, and pay someone else to do it for you. 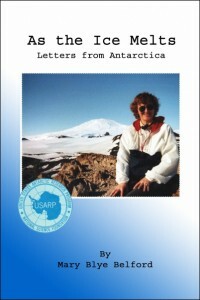 In this case, that would be YOU!” – Mary Blye Belford, Authoress of “As the Ice Melts: Letters from Antarctica” first ebook on Smashwords.